If you’re looking for the best Android TV box of 2018, you’ve come to the right place! Android TV boxes have exploded in popularity in recent years, thanks to a combination of increasingly powerful hardware, better media playback and falling prices. However, when you’re looking for a new TV box, it’s tough to know which Android TV box to buy. What is the Best Android TV box for 2018? After thousands of hours doing Android TV box reviews, detailed benchmarking and extensive research, I’ve picked the Nvidia Shield TV as Home Theatre Life’s Best Android TV Box of 2018. The Nvidia Shield TV easily won our top streaming media player pick thanks to its combination of great features, best-in-class gaming performance and support from gaming giant Nvidia. Whether you’re wanting a powerful Kodi box or an Android box for gaming, this is the one to get. 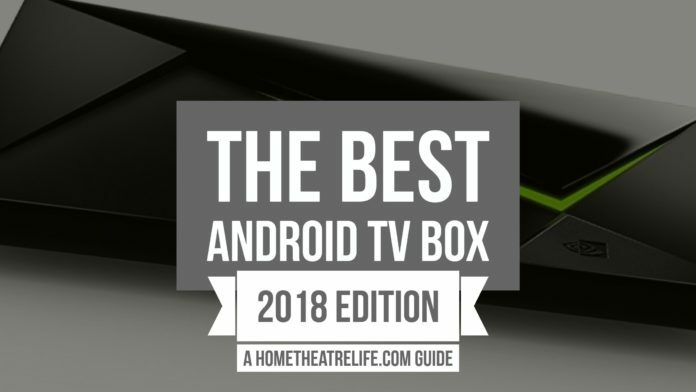 1 What is the Best Android TV box for 2018? 2 What is an Android TV box? 8 Android TV Box Buying Guide: What to look for in an Android TV Box in 2018? An Android TV box is a set-top box that runs either the standard Android operating system (OS) or Android TV – Google’s TV-optimized version of the OS. They’re often used for streaming media from services such as Netflix or Amazon Prime or watching your own content using a TV-friendly frontend such as Kodi. However, they can do much more. Android TV boxes unlock a world of entertainment, allowing you to install Kodi to stream movies and TV shows, download thousands of the best Android apps and games, browse the web and more. 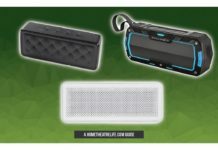 They’re a good solution for those wanting a device that goes beyond basic multimedia playback. For more info about Android TV boxes, check out my introduction to Android TV boxes or the detailed Android TV box buying guide at the end of the article. If you’re looking for the top Android TV box of 2018, the NVIDIA SHIELD TV is an absolute beast. After hundreds of Android TV box reviews, it’s clear NVIDIA’s streaming device is one of the best streaming media players out available today, standing above the rest in terms of specs, support and performance. 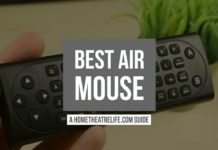 That’s why I had no hesitation giving it the title of Home Theatre Life’s Best Android TV box of 2018. Made by gaming giant NVIDIA, the NVIDIA SHIELD TV is powered by the company’s powerful Tegra X1 processor offering unparalleled CPU and GPU performance making it the fastest Android TV box to date. This thing screams, whether you’re gaming or browsing the web. For you media lovers, it’s capable of watching 4K content from Netflix, YouTube, Kodi and PLEX. It also supports 10-bit color and Dolby 7.1 surround sound passthrough. Google Cast is built-in so you don’t even need to have a separate Chromecast to stream media from your smartphone or tablet. 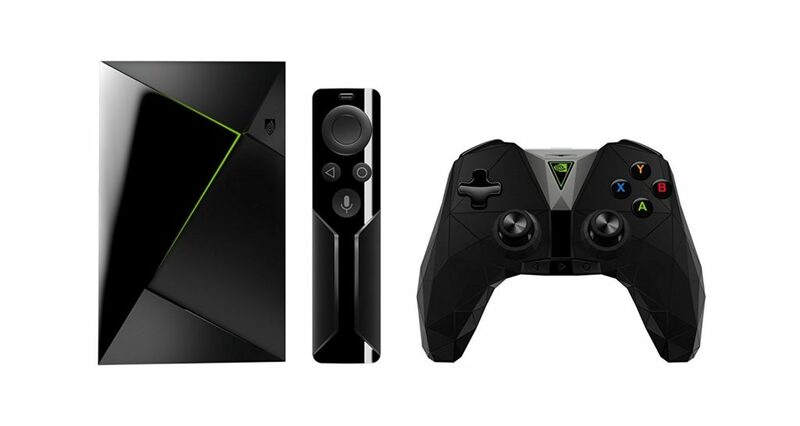 The NVIDIA Shield is also one of the top Android TV boxes for Kodi, as NVIDIA are a Kodi Diamond Sponsor and provide more support and resources to Team Kodi to make sure their device offers the best Kodi experience. Gamers get some of the best GPU performance from an Android device, including a number of PC titles ported exclusively to the SHIELD TV. There’s also support for NVIDIA’s game streaming technology, letting you stream your games from your PC with a compatible NVIDIA GPU or use NVIDIA’s NOW game streaming service. The company has also been actively supporting the device, releasing regular firmware updates. The NVIDIA Shield is more expensive than its rivals but the sheer amount of features and power makes up for the increased cost. If you want the best Android box on the market, you can’t beat the NVIDIA Shield. 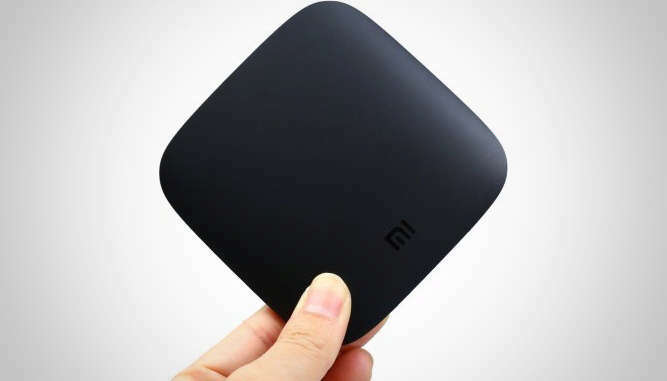 Xiaomi, the gadget company producing everything from smartphones to rice cookers, entered the Android TV box market in a big way. The Xiaomi Mi Box (review) runs Android TV, Google’s Android-based OS designed specifically for TVs. This lets the Mi Box access a whole range of TV-optimized applications and offers built-in support for 4K Netflix and other video streaming services. Google Cast is also built-in, allowing you to stream your favorite content from YouTube and more directly from your smartphone. In terms of specs, the Xiaomi Mi Box packs in the quadcore Amlogic S905X chipset and features 2GB of DDR3 RAM, 8GB of storage, dual band wireless AC and Bluetooth 4.0. It also supports HDMI 2.0, capable of 4K 60fps video playback and HDR for improved picture quality on supported TVs. 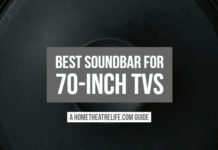 The fact that you get all these features for under $100 makes it no surprise that the Xiaomi Mi Box is widely considered one of the best Android TV devices on the market today. The Amazon Fire TV is Amazon’s incredibly popular Android-based TV box capable of 4K video output, gaming and more for a very affordable price. There’s strong support for streaming apps including Amazon Prime Video, Netflix and Hulu so cord-cutters will be well looked after. The Amazon App store also offers thousands of games and apps to install too and you can always install Kodi to strengthen the Fire TV’s media playback capabilities. You’ll also get the Alexa Voice Remote, which puts the power of Amazon’s virtual assistant in your hands – allowing you to search for movies and ask questions without leaving the couch. If you’re a Amazon Prime member (click here for a free 30 day trial), you’ll also get access to unlimited streaming on Amazon Prime Video. The Amazon Fire TV is heavily biased towards Amazon’s own services. For example, you’ll need to install apps from the Amazon App store, as the Google Play store isn’t supported. However, you can easily install Kodi on the Fire TV using other means. That said, the Amazon Fire TV offers immense value for money, particularly if you’re wanting to stream movies from video-on-demand services like Netflix and Amazon Prime Video. WeTek have been around for a while (the original WeTek Play was one of the first Android TV boxes that I reviewed!) and the company has built an impressive reputation for well-designed Android-based TV boxes with excellent support. If you buy the WeTek Play 2, you’ll also get the ability to watch and record live TV thanks to its built-in TV tuner which is awesome for those who watch free-to-air TV. Additionally, thanks to working closely with Team Kodi, WeTek devices are some of the best Android TV boxes for Kodi thanks to their exceptional Kodi support. 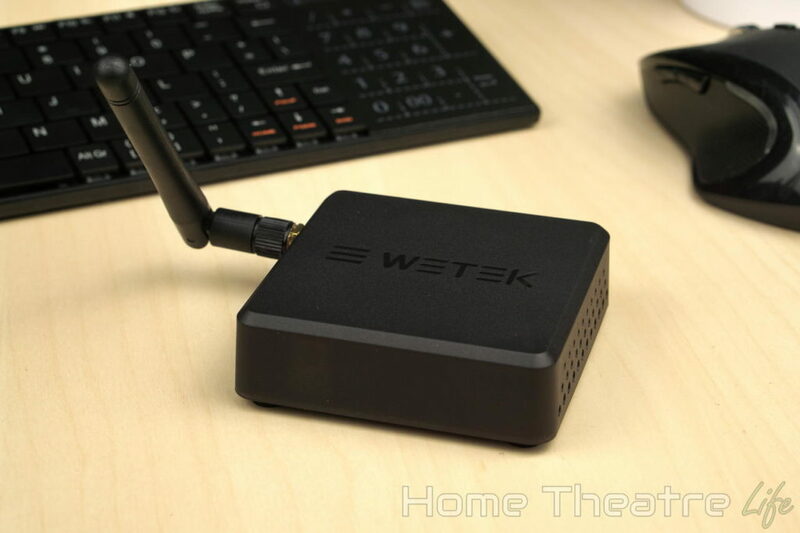 Whilst it’s not the fastest Android TV box for gaming, if you’re looking for an excellent streaming media player that won’t break the bank, check out WeTek’s devices. 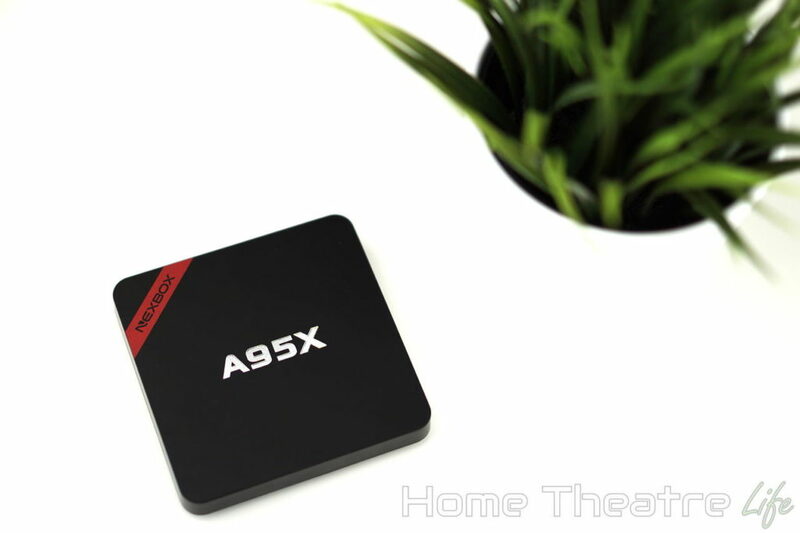 The Nexbox A95X is probably the best cheap Android TV box of 2018. Powered by the quadcore Amlogic S905X, it features up to 2GB of RAM and 16GB of storage (depending on the variant though I’d recommend getting avoiding the mode with 1GB of RAM), wireless b/g/n for wireless streaming, and Bluetooth 4.0. It’s also capable of 4K video playback and supports HDR on compatible TVs for improved picture quality thanks to the wider color range. However, the main reason the Nexbox A95X is my pick for the best Android TV box under $50 and best cheap Android TV box overall for 2018 is that you can install LibreELEC on it. This makes it one of the best value Android TV boxes on the market. LibreELEC is a Kodi-fork that offers the same great home theatre experience, but removes the extra bloat to make the Nexbox A95X feel more like an appliance whilst improving video playback capabilities with support for automatic framerate switching and more. 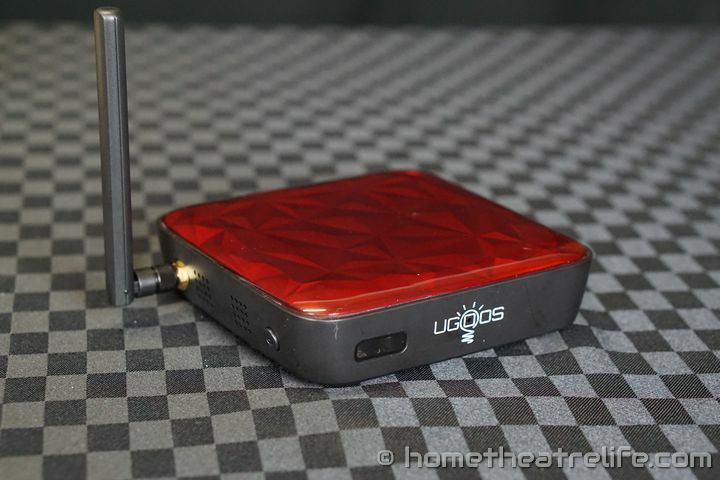 The UGOOS UT3S (Review) is still one of the best Android streaming media players I’ve reviewed to date. Media playback is solid thanks to Ugoos’ custom Kodi fork that’s specifically optimized for their hardware, enabling features such as automatic framerate switching that are unfortunately lacking on many other devices. However, Netflix is limited to 480p (DVD quality) as the Ugoos UT3S isn’t a Netflix-certified device. Powered by the impressive quadcore Rockchip RK3288, the UGOOS UT3S performed well across the board. Thanks to its powerful Mali-T764 GPU, gaming performance was excellent for everything from Android games to emulators. In fact, despite having access to most Android TV boxes on the market, I still have my Ugoos UT3S connected for gaming. It’s available in two variants. One features 4GB of RAM and 32GB of storage, whilst the cheaper model features 2GB of RAM and 16GB of storage. Both models features wireless AC, Bluetooth 4.0 and Gigabit ethernet. For Linux lovers, UGOOS have ported across Ubuntu and the company has been regular firmware updates for months after release, constantly fixing bugs and adding awesome new features. The Zidoo X9S packs in an impressive array of features and remains one of my most used Android boxes, including HDMI recording, dual WiFi antennas and USB 3.0. Media playback is comprehensive and 4K video playback and HDR is supported thanks to HDMI 2.0 compatibility. Zidoo have also developed a fantastic and intuitive Android launcher called ZIUI which is easy to use for anyone. The company also provides regular firmware updates. Over the past few months, Zidoo have fixed many bugs and added many new and useful features. In terms of specs, the Zidoo X9S features the quadcore Realtek RTD1295, 2GB of DDR3 RAM, 16GB of storage, dual band wireless AC and Bluetooth 4.0. Android TV Box Buying Guide: What to look for in an Android TV Box in 2018? “Android” TV Box vs “Android TV” Boxes: What’s the Difference? There’s some confusion between “Android” TV boxes and “Android TV” boxes. Android TV: A TV-optimized version of Android that’s built from the ground up for TV use. It has a TV-friendly user interface, apps designed for remotes, voice search and more. Yet, it’s not as customisable and has a smaller library of apps. This means you can have an “Android” TV box running standard Android or an “Android TV” box that runs Google’s TV-friendly OS. Both types have their pros and cons. “Android TV” boxes usually offer a better TV experience, though with a less apps and customisation. Devices running modified versions of Android such as the WeTek Hub offer far more flexibility and customisation but some apps can be difficult to use without a touchscreen. Are Android Boxes Any Good? Android TV boxes offer an excellent balance between powerful features, flexibility and price. Whilst they’re not going to be as easy to use as something like a Roku, you trade a little more complexity for the ability to run amazing apps like Kodi, access thousands of games and customise your device so it looks and behaves how you want. Kodi boxes have been mentioned a lot in the news recently with some high profile bans, leaving many asking are Android boxes legal? The reality is that Android boxes themselves are completely legal, as they’re no different from a smartphone or a tablet. 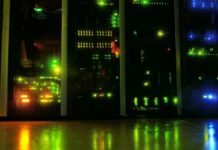 However, a number of companies have been selling “fully loaded” Kodi boxes that come preloaded with some legally-questionable add-ons. It’s these devices that have been banned. What Features Should an Android TV Box Have in 2018? With so many options out there, there’s a number of core features you should look for when trying to find the best Android TV box. It goes without saying that the best box for Kodi needs to have solid Kodi support. Certain manufacturers work closely with team Kodi to make sure their Android TV boxes support important Kodi functions to allow for important features such as audio passthrough and automatic framerate switching. Stereo audio is so passe. 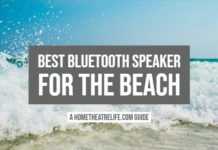 5.1 audio, which features 5 speakers plus a subwoofer, has been the baseline for home theatre audio for years. The best Android TV box for Kodi will at least support 5.1 audio passthrough, allowing your video’s multichannel audio to be reproduced on your home theatre setup. Automatic framerate switching is an important but relatively unknown feature few Android TV boxes support. Basically, it allows your Android TV box to output a video signal that matches the framerate of your video. This means smooth video playback and elimination of judder. H.265 decoding, also known as High Efficiency Video Coding or HEVC, is the one of the latest video codecs. Thanks to its improved compression rates over H.264 video, H.265 video allows better quality video with smaller file sizes. As such, it’s becoming popular for both compressing video files and using in streaming applications. 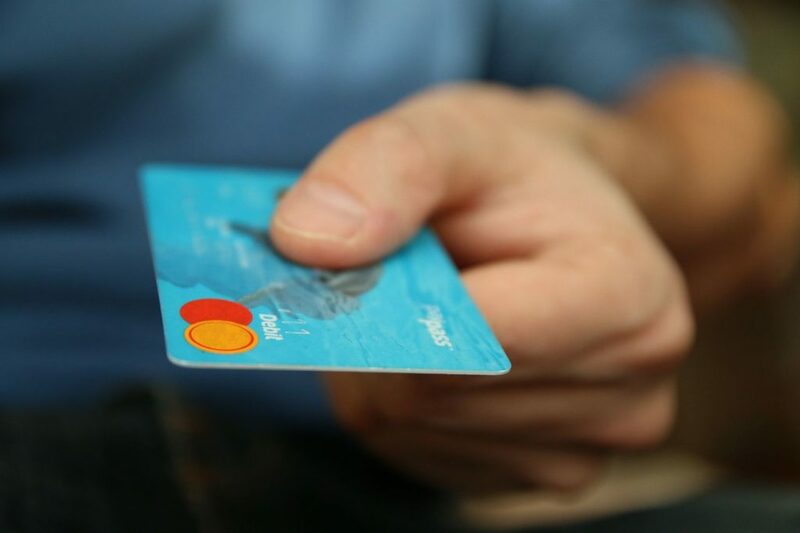 The best streaming media players support decoding H.265 in hardware to offer a degree of future proofing for this increasingly popular format. We live in a world of streaming, whether you’re streaming 4K movies from Netflix or watching Blurays from your server. All this high resolution video requires bandwidth to support it. Look for Android boxes that offer dual band wireless to avoid the congestion found on the 2.4GHz band and/or gigabit Ethernet for those that prefer the stability of a wired connection. It can be argued that a device is only as good as its support. So many cheap Android TV boxes coming out of China (or overpriced “fully loaded Kodi boxes” from other companies) are sold by those trying to make a quick buck. When something goes wrong or there’s a bug, they’re nowhere to be found. Good Android TV boxes come with excellent support, either via direct customer support or regular firmware updates that add features or fix bugs so you can focus on enjoying your streaming media player. Google regularly releases new versions of its Android operating system. Like any other operating system, having a recent version of Android is important so you have both the features and security you need. An Android TV box should come with at least Android 5.0. This is particularly important if you’re looking for a Kodi box as Kodi 17 only supports Android 5.0+. There’s no doubting that Netflix is the king of movie streaming. However, not all Android devices support HD Netflix. If you’re a Netflix user, picking an Android TV box that supports HD Netflix streaming is a must to make sure you’re getting the best quality video possible. Many home theatre enthusiasts are also gamers. With Android supporting a host of games, including casual titles, ports of retro games and even emulators, it’s no surprise some want their Android TV box to pull double duty as a gaming machine. 3D never really took off the way Hollywood was hoping, though some are still fans of 3D movies (myself included). 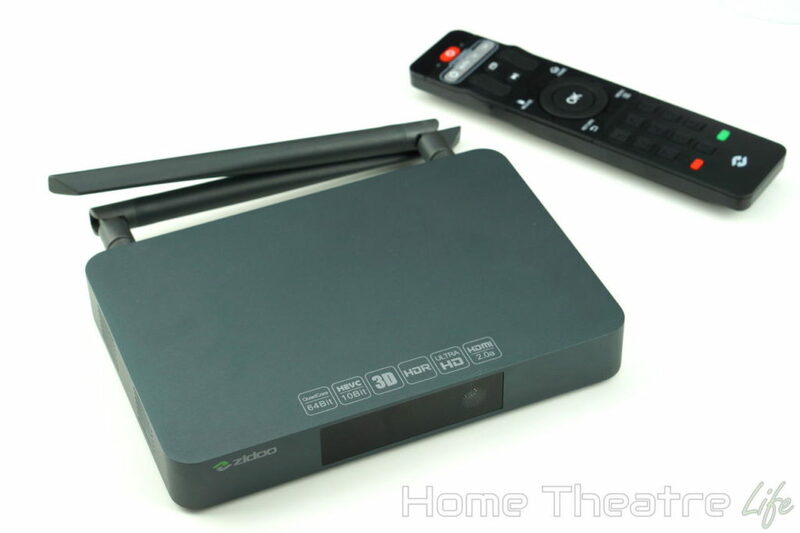 If you regularly watch 3D content, you’ll want an Android TV box that’s capable of playing back 3D video in various formats. USB 3.0 is pretty much ubiquitous at this stage, though the uptake on Android TV boxes has been slower. If you’re regularly finding yourself transferring lots of content between an external hard drive and your Android TV box, getting a device with high speed USB transfer makes sense, though it’s unlikely to be a must have feature for most. Having personally reviewed dozens on Android boxes, the above list reflects the best Android TV boxes to date. The NVIDIA’s SHIELD TV is definitely the best Android TV box so far thanks to its combination of great features, best-in-class gaming performance and support from one of the biggest companies in gaming. The honorable mentions are also fantastic in their own ways. In the end, it’s all about what device best meets your requirements.